Before you will granted access to your status you need to input your JAMB registration number or your form number in the field. Any can still be used to located or access your status. You will now use the search button to search out your admission status. If you have been admitted you will be notified instantly, if not keep checking for other list will be released in batches. Before now students and Admission seekers are used to check out if they have been offered admission or not on jamb portal. Though it’s not a new thing. You too can still check the joint admission and Matriculation board JAMB portal to see if you have dully been offered admission or if your admission is authentic with JAMB. We believe that we all maintain a JAMB profile with JAMB? so log in with your details. Quickly locate the “Check Admission Status” you will see it if you look very well. So click on it. To make things easier you should select your exam year, and also enter your JAMB registration number after that. If you look below you will see a button written with “Check Admission Status” click on it to access your admission status. Probably you didn’t see your name right or you have not been offered admission into Ekiti State university, don’t be depressed please more list will still come out you only need to remain focus at this point and still continue praying. For those who have been admitted you must do everything possible to ACCEPT your admission so that JAMB won’t give your hard earned admission slot to some other persons. To do that you need to follow this link right now. There are processes you need to follow to pay your school fees and acceptance fee. 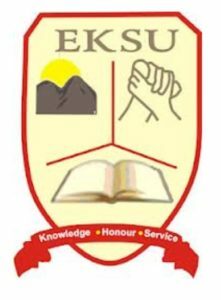 Please note that your acceptance fee remains paramount and must be paid first at all cost to find how to pay the Ekiti state university’s acceptance fee and school fees click here. No available slot available was displayed after filling my registrations. What should i do?